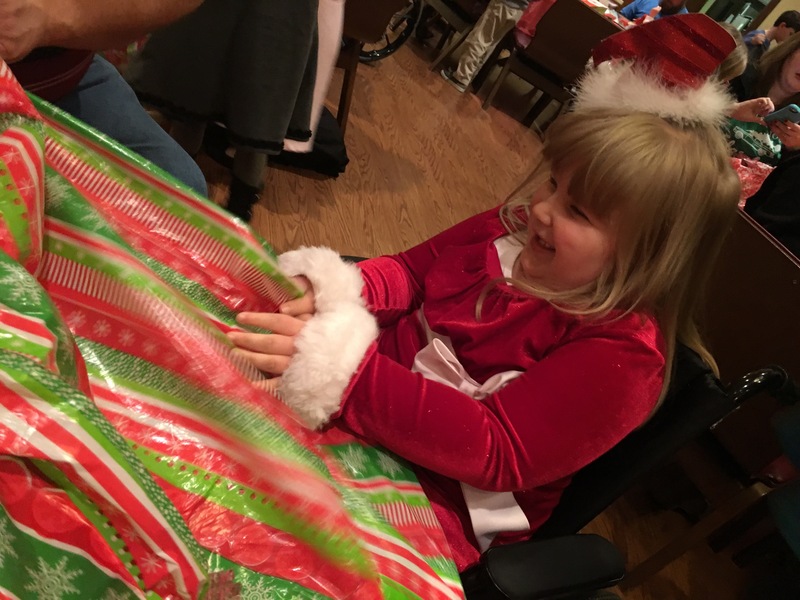 Rhema celebrated Christmas with her Spina Bifida family! This gentleman has played our Santa since Rhema was a baby; it’s always a joy to see him. 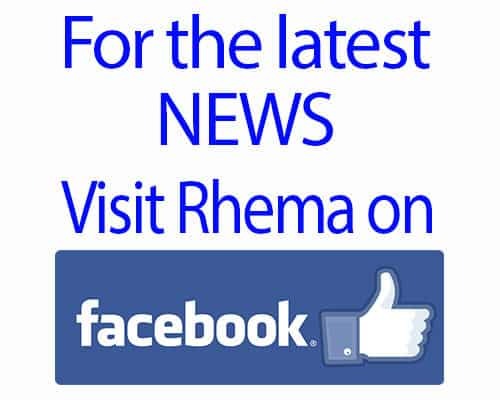 Rhema would not look at him; she would cut her eyes sideways at him. Lol! It’s so funny because all day she talked about seeing Santa but when he is there it’s all just too much. 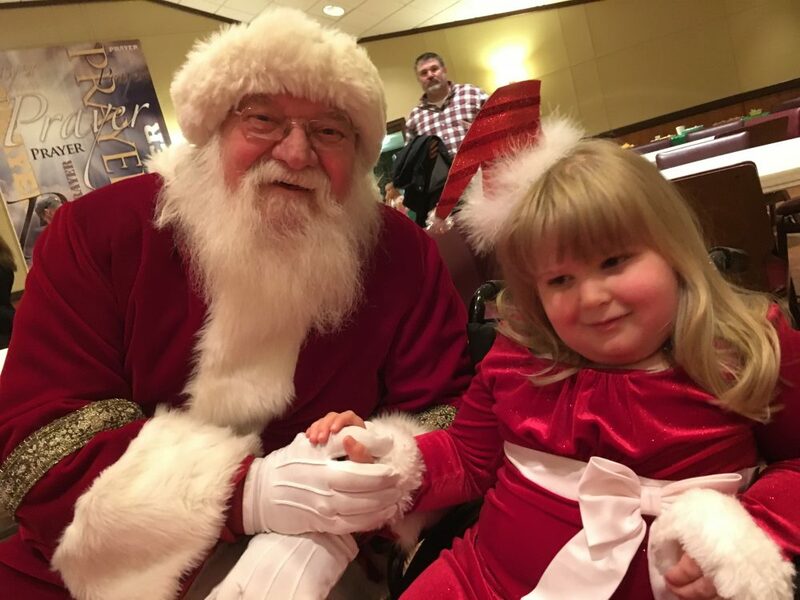 But, she did sit next to him and let him hold her hand. 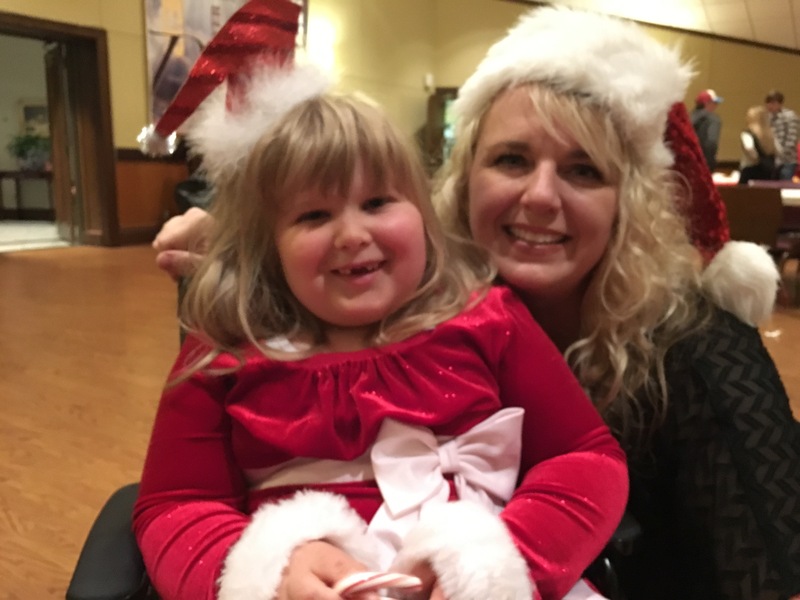 Angie and her merry elves always does such a great job every year! We are so blessed each year to have time with fellow families to celebrate our kiddos! 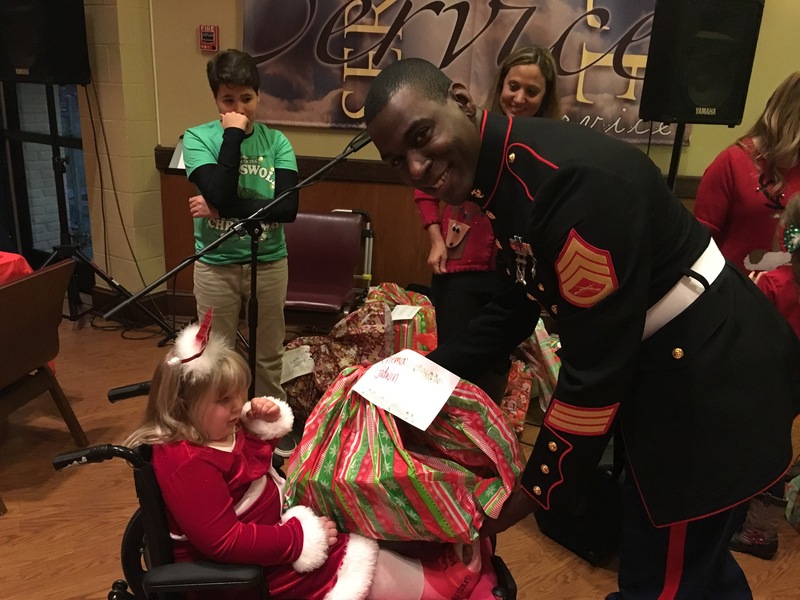 Love us some Marines and so appreciate their involvement in Toys For Tots!! Rhema did so well opening her presents! 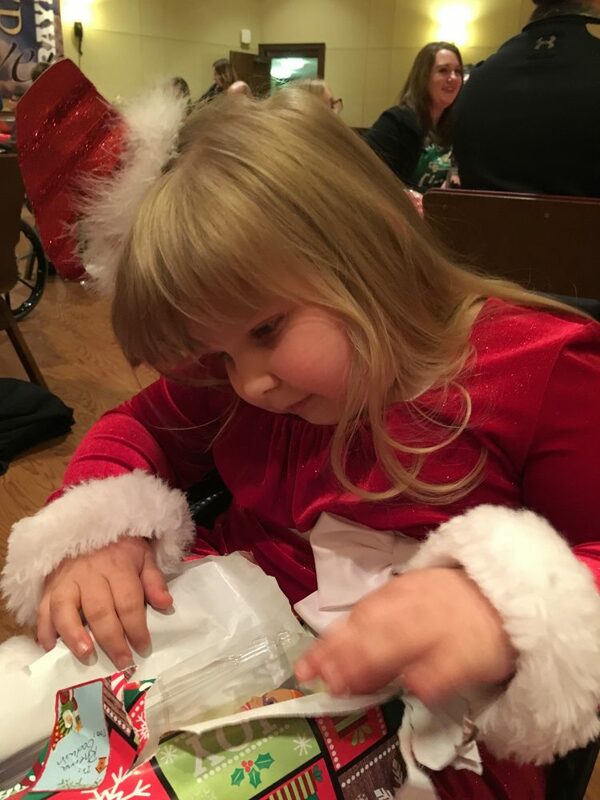 We practice all of Decmeber opening books each night so when Christmas morning comes she is better prepared for “opening” and dealing with the overwhelming activity and noise. For this years party she did not cry once and only hid her face a few times. She engaged for the most part and all without her ear plugs. We are so pleased with her progress; from last Christmas to the beginning of this season we’ve such dramatic improvement.